It’s confirmed: not one but two beavers reside in the Arboretum’s wetland. Known as a “colonial couple,” this pair is most likely awaiting the arrival of its first litter sometime in the spring. Beavers can produce two or three litters of one to ten kits in a season, making for quite a large family. Two beavers! Look closely…they’re in there! Photo by Kathy Thornton. Given the limited size of a beaver lodge, perhaps it’s fortunate that beaver kits can swim and dive at only two weeks. At six weeks, they’ll begin to nibble on grasses. Kits will be fully mature and ready to move out on their own after two years. Historically, beaver kits were prey to coyotes, wolves, and mountain lions. With the disappearance of many large predators from our region, kits are more likely than ever to reach adulthood, at which point crossing the road will pose their greatest threat. Beavers mate for life and have strong family units. With this in mind, what better way to keep the spirit of Valentine’s Day in the air than by taking a walk along the Arboretum’s wetland? While there, be sure to congratulate Ma and Pa Beaver on their imminent arrivals. If you have visited our children’s garden recently, you may have noticed that it looks more like a construction zone than a cute play space. That’s because (with permission from staff) Chesapeake Conservation Corps fellow Emily Castle is in the process of implementing a new design plan for her Chesapeake Bay Trust-funded capstone project. Aligning with the mission of cultivating an educational and interactive nature play space, Emily’s plans have a permaculture twist. The Funshine Garden prior to its permaculture revamp. Permaculture is a systems-thinking approach to landscape design that emphasizes working with nature’s patterns to address human needs. Rather than focusing on the inclusion of particular plants and objects in a garden, a permaculture designer looks at how features will relate to one another to create a healthy, sustainable, and interconnected whole. A familiar iteration of permaculture design is a food forest; however, a distinctive plan reveals itself for every landscape. Plans for the Funshine Garden include a central mandala garden composed of hugelkultur-style raised beds. Hugelkultur (pronounced ‘hOOgull-culture’ if you’re American) is a German word that describes the practice of burying logs beneath planting beds for a source of nutrients and water. Surrounding the mandala will be sheet-mulched beds growing native plant guilds (i.e., mutualistic combinations of species). These guilds will comprise plants chosen for their edible, wildlife-supporting, and sensory value to children. Designated play areas both within and outside the garden will be devoted to such built structures as a labyrinth, a small water feature, a mud kitchen, balancing logs, and a willow den. In this way, different types of play, such as loose parts, imaginative, reflective, social, and explorative, will be encouraged. The end result: a permaculture playground. So far, three workdays have been held with a team of volunteers. The bulk of the work will happen throughout the spring and summer before Emily departs in August. 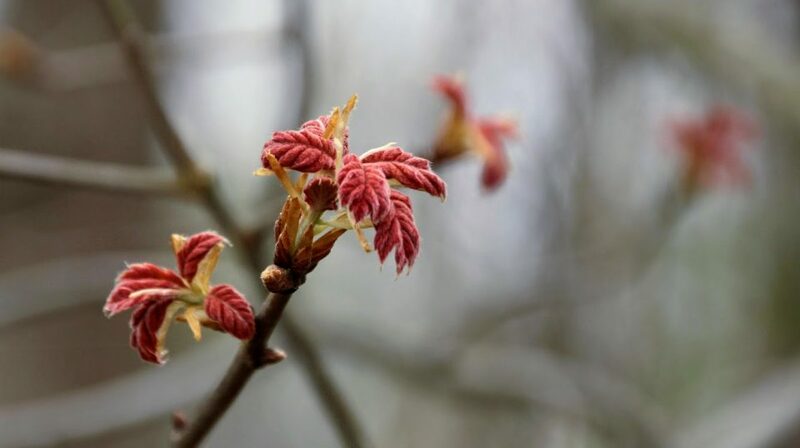 If you are interested in becoming involved, contact Volunteer Coordinator Martha Sullivan at msullivan@adkinsarboretum.org or Emily Castle at ecastle@adkinsarboretum.org or 410-634-2847, ext 21. Beginning February 27, Earth Wisdom is a new homeschool educational program offered to 13- to 16-year-olds who wish to delve more deeply into permaculture concepts. Students will practice creating their own ecological design concepts and will engage in hands-on activities in the children’s garden. This program is limited to 15 students; click here for more information and to register.